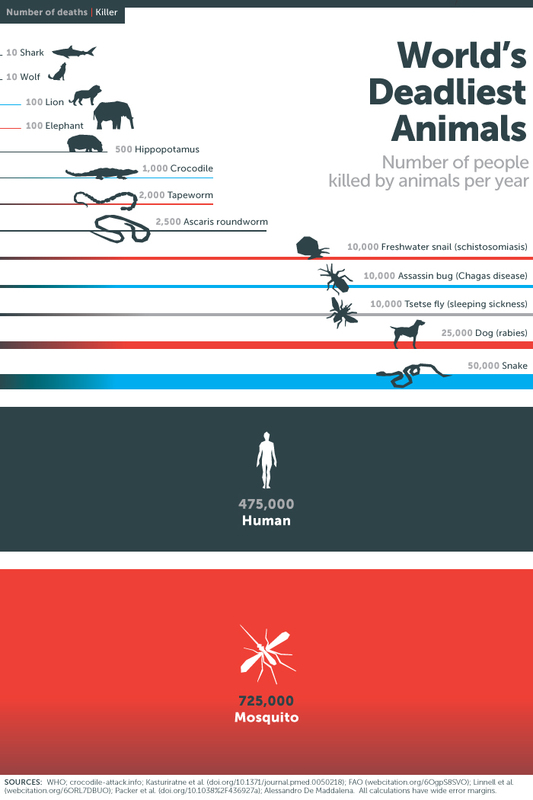 The Spiderblogger: Deadliest animals? Spiders don't crack a mention! Deadliest animals? Spiders don't crack a mention! It is lovely to see the statistics so beautifully presented. These are the deadliest creatures in the world, and spiders don't crack it for a mention. Lovely! From the blog of Bill Gates.